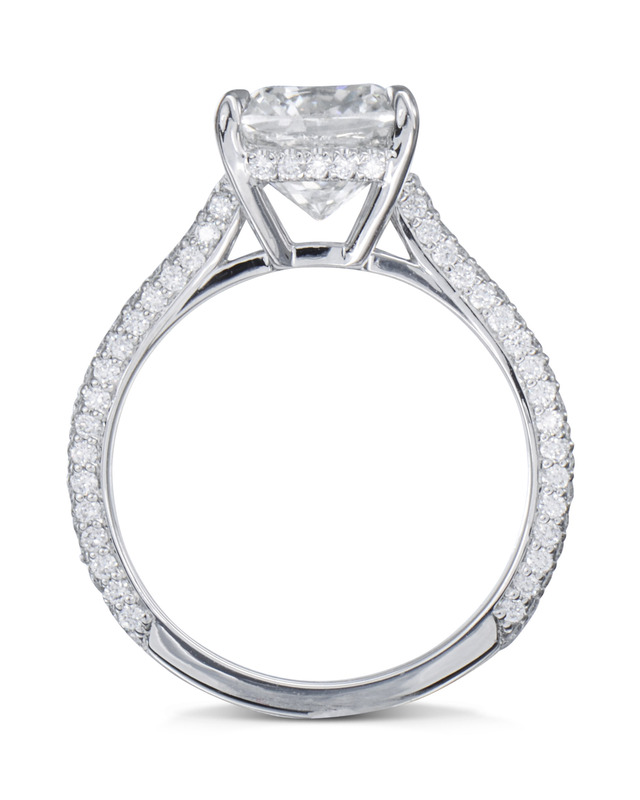 Our enchanting cushion cut pavé diamond engagement ring embodies timeless style and elegance. 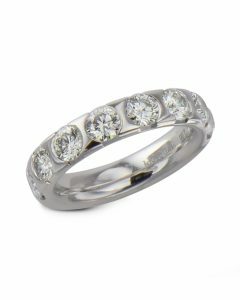 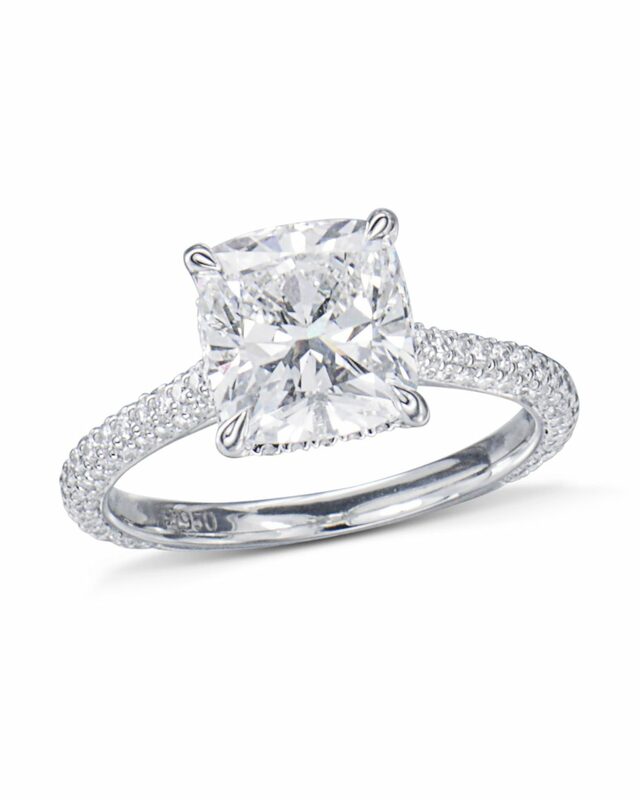 Hand-crafted in precious platinum with a petite band featuring meticulously set pavé diamonds complimenting a stunning cushion cut diamond in the center. The classic setting of pavé diamonds leads your eyes to the exquisite cushion cut diamond center. 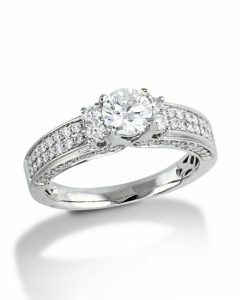 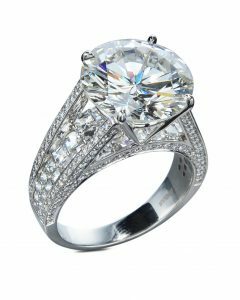 Give her the ultimate expression of love by giving her our cushion cut pavé diamond engagement ring.